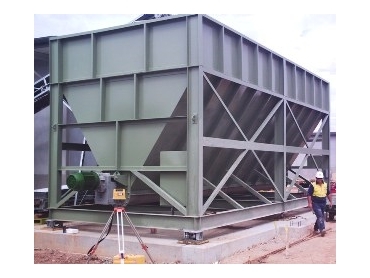 Industrial scales for weighing treated by-product, provided by Accuweigh , were recently installed at Gold Coast Water’s Pimpama plant. These industrial scales play an important part in the treatment process by not only tracking the volumes of waste product generated but also ensuring that the trucks removing the waste is not overloaded. The sludge is fed into the 120t capacity industrial scales by dual conveyors. This is followed by emptying of the sludge using an auger or conveyor combination from the industrial scales into waiting trucks, which is then delivered free of charge to local market gardeners for rejuvenating the soil.